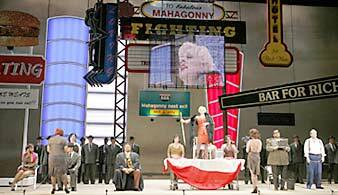 The opera, Rise and Fall of the City of Mahagonny, is a razor-edged critique of capitalism, and considered by many to be the greatest collaboration between music composer Kurt Weill and playwright Bertolt Brecht. 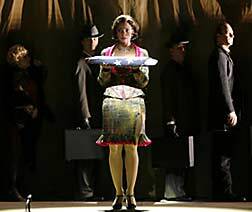 On March 4th, 2007, well over 3,000 people packed the Los Angeles Dorothy Chandler Pavilion to see the seventh and final performance of the L.A. Opera’s English-language production of, Rise and Fall of the City of Mahagonny (Augsteig und Fall der Stadt Mahagonny). It may come as a big surprise to some people that I’m a fervent opera enthusiast, but I was one of those in attendance, and that very performance was filmed for broadcast by PBS. Now, millions of Americans will finally be able to see the remarkable opera when PBS Great Performances broadcasts it nationally. Its televised premiere begins on Monday, Dec. 17, 2007, when it’s shown on New York’s WNET-TV, at 9:00 p.m., and again on Friday, December 21, at 12:30 a.m. Angelenos can see Mahagonny when L.A.’s KCET-TV broadcasts the opera on Saturday, Dec. 22, at 10 p.m. Check your local PBS listings for the broadcast time in your area. The L.A. Opera production is also now available as a high-definition DVD release. Mahagonny is far from being a traditional opera. It tells the story of Mahagonny (pronounced “Mah-ha-GO-knee”), an imaginary American city founded by three criminals on the run, where everything has been commodified, the only real crime is to be poor, and a lifestyle of over-consumption and never-ending vice is unhindered by ethics or morality. Sound familiar? Two of the city’s denizens, a prostitute named Jenny Smith, and a lumberjack named Jim Macintyre, fall in love; but when Jim runs out of cash and can’t pay his bar bill, the boss and co-founder of the corrupt city, Leocadia Begbick, has him arrested. Tried in a kangaroo court organized by the shady and the crooked, Jim is found guilty of having no money - and then summarily executed. Interestingly enough, Mahagonny has received nothing but praise and enthusiastic acclaim from the corporate press, but with stellar performances by a talented cast how could it be otherwise. 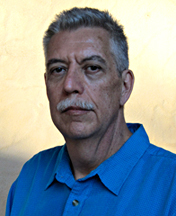 Leocadia Begbick is played by Tony Award winner Patti LuPone, Jenny Smith the prostitute is played by Tony Award winner Audra McDonald, and lumberjack Jim is played by tenor Anthony Dean Griffey. The L.A. Opera company’s Music Director, James Conlon, conducted the company’s superb orchestra, delivering Weill’s opus with precision and enthusiasm. John Doyle’s direction and inventive stage production not only updated the parable, making it perfectly believable as a contemporary moralistic tale, he also managed to retain Brecht’s radical ideas concerning theater as a vehicle for social change. It was in 1927 that Weill and Brecht decided to work on an opera together. Brecht had been writing satirical poems in the early 20’s about a mythical city he called Mahagonny, a debauched metropolis obsessed with money and sordid pleasures. Mockingly compiled as a pseudo-devotional book of prayers and hymns titled Domestic Breviary, Brecht’s poems served as the basis for Weill’s Mahagonny-Songspiel, ten poems set to music that would later be integrated into the full opera for which Brecht wrote the libretto. When the opera was still in its rehearsal stage, Weill commented; “The work we intend to produce is not going to make use of contemporary material that will be out of date in a year’s time but sets out to present our age in a definitive form. Its influence will thus extend far beyond the moment in which it is written.” That Mahagonny continues to ring true to a contemporary audience - nearly 80 years after its premiere, is a tribute to the artistic vision and political clarity possessed by Weill and Brecht. At the opera’s Leipzig premiere in March 1930, Nazi hoodlums initiated protests and threatened violence against the production. 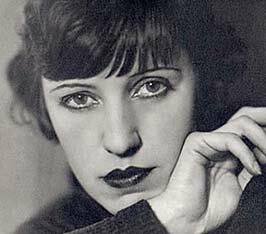 The singer Lotte Lenya, who was Weill’s wife and would later play the part of Jenny in the 1931 Berlin production of Mahagonny, attended the Leipzig opening and had this to say about the Nazi assault: “The performance was well underway before I was startled out of my absorption by the electric tension around us, something strange and ugly; by the last scene the riot had spread to the stage. Only after the arrival of the police could the theater finally be emptied.” The police ended up canceling the second performance. Fascist intimidation continued during the opera’s 1931 run in Berlin, and it would increase until the opera was finally banned outright by the Nazis in 1933 - the year Weill and Brecht fled Germany. 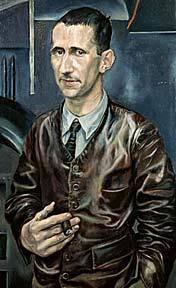 Brecht understood theatre not just as a form of entertainment, but as a vehicle that could help workers understand and analyze their political situation, he felt theatrical performances should appeal to reason and not simply give way to sentimentality. In the 1957 book, Brecht on Theater, the playwright described his theory of “alienation effect” theatre as being that “which prevents the audience from losing itself passively and completely in the character created by the actor - and which consequently leads the audience to be a consciously critical observer.” The original Brecht production of Mahagonny, as with his other plays, utilized various contrivances to prevent viewers from being lulled into a theatrical fantasy. Stage settings were deliberately sparse and flooded with harsh lights, with no attempt to hide stage lighting equipment. Slogans and explanatory text were projected upon stage walls, and actors carried placards onstage bearing political messages. With outbursts of songs whose lyrics drove home his political points, Brecht would use music itself to interrupt stage action. By the closing scenes of the L.A. Opera production, if you haven’t already recognized that we are all living in Mahagonny, the opera offers a reflection of our commodity spectacle society that is so searing you’re likely never to forget it. It’s here that the brilliance of John Doyle’s direction becomes apparent. As the lumberjack Jim MacIntyre is put on trial for the crime of having no legal tender, the stage is transformed into something evocative of a set for a television game show. Paparazzi and court reporters roam the stage with hand-held video cameras, projecting the court proceedings onto a giant flat screen monitor suspended from the ceiling. As Jim is sentenced to die and we see his face larger than life on that huge flat screen, it’s as if the ghost of Brecht has come back to scold us for being so easily distracted by the frivolous media spectacle that daily blinds and misleads us. The updated finale of the L.A. production preserves Brecht’s intention of theatre provoking an audience to thought and action. Jimmy MacIntyre has been executed, and as the people abandon the deteriorating and collapsing city of Mahagonny in droves, an oversized electronic ticker-tape machine suspended over the stage flashes its digital red letter message - For the Freedom of the Rich - For Property - For Theft. Forsaking the sinful city, a long line of black-suited men carrying briefcases shuffles grimly by, and out of their midst comes the prostitute Jenny. She’s carrying all that she has left of her lost love Jim, an American flag that has been presented to her, smartly tucked and folded into a tri-cornered shape, the type of flag presented at US military funerals. The obvious reference to America’s war dead in Iraq is chilling. Jenny holds the folded flag up towards the audience - and the stage goes dark.